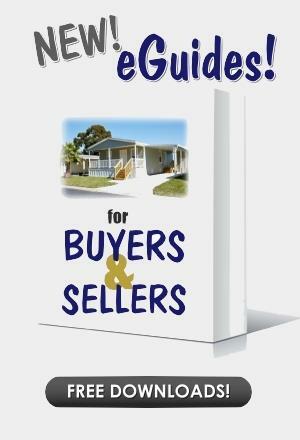 "Beautiful Florida home in wonderful location "
"Beautiful home and beautiful location "
Above are the current Dunedin mobile homes for sale in Dunedin, Florida. Check back frequently; the list changes daily! Some 55+ mobile home communities will allow residents as young as 40 years old to purchase a home. Certain restrictions apply. Please contact the listing agent for additional information about this policy. 'Lot Rents' vary depending on the park and the location in the park. (i.e. on a lake, corner lot etc.) 'Lot Rent' is listed as 'Condo Fee' on this software. About Dunedin: Dunedin is quaint city, but features a thriving downtown business district that has become a model for many other west-central Florida cities. It is striking in comparison to neighboring Florida communities for its absence of commercial signage, franchise restaurants, and retail stores. The Pinellas Trail, a 39-mile long bicycle and pedestrian trail that traverses all of Pinellas County, bisects downtown Dunedin. Bicyclists are a common sight in the business district. 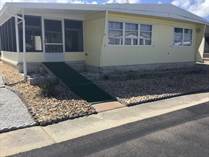 Contact a mobile home dealer in Dunedin, Florida at American Mobile Home Sales of Florida today to find your piece of paradise. Call 727-667-2400 for current listings and information. Local Office: 3118 Gulf to Bay Blvd.#140, Clearwater, FL 33759. Click here for a map of Dunedin FL.